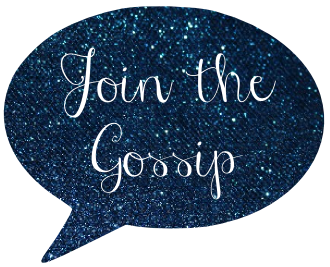 Join The Gossip: BaubleBar: Got it, Want it! BaubleBar is on point right now! I am really refraining from not going on a shopping spree. But, I am human after all, so I caved and made a few purchases this month. I bought the necklace as a Platimim Buried Bauble. For $20, how could I not? And the stackable rings have been on my wish list for months so when they were offering 20% off on tax day I figured it was a sign from the jewelry gods. Now I have that beautiful knot pave bracelet in my sights. Their rhinestones are really pretty and classy. They don't look cheap at all. The rings above feature them and they are beautiful in person. I also need a nice pair of stone earrings for dressy events. I think these ones would go with many different outfits. Who is with me? Have you made any BaubleBar purchases lately? Go check out Lena B, Actually and enter to win a $15 Starbucks gift card that I'm giving away! Can I borrow the rings and necklace? hahaha really cute purchases!! Love the ring! Baublebar is awesome. Thx for sharing! Beautiful pieces! I love bauble bar for the style and prices!! Hope you are having a wonderful day! I have way too many items in my shopping cart right now! I seriously can't decide which pieces to buy! you always find awesome things from here! I was just looking at those rings. Aren't they great? I'm drooling over that bangle, too -- how cute! Listen, I have 3 months to buy your birthday gift but I am racking up ideas now...THESE ARE PRETTY! I've been really tempted to go crazy at BB lately... I"m in a million weddings this summer... perfect excuse for new jewelry if you ask me :) Love what you picked out! Oooh! I love those earrings!